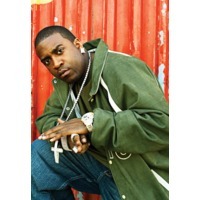 Marvin Bernard (born on March 31, 1979), better known by his stage name Tony Yayo, is a Haitian-American rapper and member of the hip hop group G-Unit. Tony Yayo was brought up in South Jamaica, Queens, and was longtime friends with 50 Cent and Lloyd Banks. He is signed to 50 Cent's record label G-Unit Records and recently signed a deal with EMI which will release his second untitled album. He is also running his own label G-Unit Philly. He is of Haitian descent and is taking part in the aid to the Haitian people since the 2010 Haiti earthquake. Yayo has worked with different charities and events in support of the relief efforts.